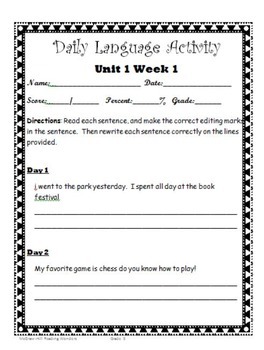 This is Unit 1, all five weeks, Daily Language Activity for grade 5. I created a hard copy, to pass out to students, to complete prior to the grammar lesson for the day. Please download the free copy to review the format prior to purchasing this bundle. If you find this to be a great resource, then please download and use.